This is my first review of a product. I've received so much valuable information from the EDS site, so I figured it's time I reciprocate. First of all, let me say that I have used 302 Skincare from almost its inception. I think they came out in 2003 or 2004. I started the line in January 2005, over 3 years ago. I have stuck with them the entire 3+ years. Not to say I don't use other things too, but it's my staple skin care that I would never be without. I can definitely say that this line has produced the most visible and consistent results for me as far as promoting skin health and appearance goes. I have Before/Afters below to show you my results. You can consider 302 cutting edge (and controversial) because it goes against everything you've been taught about skincare the last 2 decades or so. You can't just add it to your current regimen and be successful, so I decided I really needed to write a thorough review. If you wonder why you've never heard of 302, it's because they a small company, relatively new, and do not advertise. They sell directly to professionals only, and the line is not well known outside of CA. First of all, about me: I'm turning 53 in June. I'm Asian, have oily, acne prone skin. 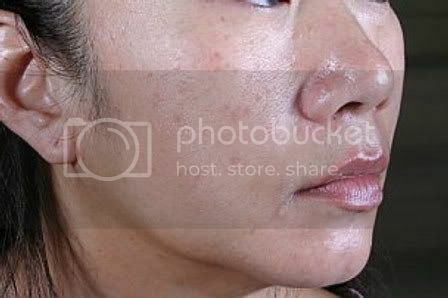 I suffered from severe cystic acne in my teens and have spent practically my entire adult life trying to fix the resulting scars. I've spent thousands of dollars on procedures, prescriptions, and skin care to try to fix my skin to look halfway decent. I had rolling, icepick, boxcar scars all over my cheeks and chin. For the longest time, I would dread looking at my face in the morning. In the last 30+ years, I've done the gamut of skin care, including medical chemical peels, fillers, TCA Cross, Skin Biology CPs, AHA, BHA, Mama lotion, lactic acid, enzymes, Karin Herzog, Epicuren, Epidermx, lasers, and even snail cream. Though I had results from some of these things, I still had scarring and hyperpigmentation. It was in around 2004 that I was noticing how bad my skin was starting to look. I was following the conventional skincare mantra that exfoliation was the only way to rid myself of the hyperpigmentation and scars and build collagen. I was religiously doing weekly glycolic peels, applying multiple topicals each morning and night, but they no longer seem to make my skin clear. It just started looking blotchy, red, oily, and irritated. I was so self-conscious, I could not be seen without makeup at all, even at home. It was the beginning of 2005 when I happened upon a thread about 302 on another forum. It intrigued me because it was totally different from what I was doing. They claimed that acids, excessive peels, and the resulting exfoliation were bad for the skin and actually caused accelerated thinning and aging in the skin. The guy who was making this statement was the founder/formulator of 302, Dr. Richard Huber. He was a biochemist who had been working on a research project for Eli Lilly. He knew of a village of people in Guatemala with very resilient, healthy skin even though they lived in a hot, sunny climate and, obviously, didn't use sunscreens. Through his research, he figured out what was responsible for this incredibly smooth, wrinkle free skin. It was the avocatin that was created when they ate their main staple….avocados. Avocatin is not the same as avocado oil. It's much more potent. This was in the 1980s. It took him the next 15 or so years to perfect and patent the avocatin, which is the main active ingredient in most of their products (you can read the patents on the website). As I read and reread the website, it all made perfect sense to me. Given the fact that my current skin care routine was not working for me anymore, I took a leap of faith and bought the 302 drops and Face/Body bar. Almost from the start, I could see a change in my skin. At about 10 days, I noticed a plumpness and healthy-looking appearance that I had not experienced in awhile. My skin felt calm again, my skin tone evened out. Even my not-so-observant husband noticed and asked me what I was doing to my skin because it looked better. I was sitting in the bright light of an open window at the time. That kinda convinced me something was going on and it wasn't just my imagination. After a few months, I even noticed my scarring was starting to diminish. I was overjoyed and, the rest, as they say, is history. I was hooked for life. The line has never been irritating or stopped working for me. Since that time, the product line and website has greatly expanded to address various skin issues, including aging, acne, and rosacea or sensitive skin. Each has its own products and protocols. All of the details are on the website. They sell to professionals only, so it's hard to find some of the products at times, but they are available on the web from estheticians or skincare salons. If you live in California, you can probably find a salon that carries 302 and/or does their facials. I have issues with oil, acne scars, hyperpigmentation, and breakouts, so I have been using the 302 cleanser, oily/combo cleanser, Face/body bar (still my favorite cleanser), 302 drops, 302 acne drops, C Boost, A Boost, and 302 serum plus. All the product ingredients are listed on the 302 website. They use nonacid forms of Vitamin A and C. Their products are simple, natural formulations with a lot of botanicals. They are gentle, yet powerful at the same time. 1. The current practice of excessive exfoliation (whether by acids or manual means) is potentially damaging to the skin. The plumpness and glow you see immediately after exfoliation is temporary microinflammation, and actually compromises the skin's integrity in the long run. When you constantly exfoliate the epidermis, you compromise the skin's natural protective barrier. You are, in essence, inflicting minor injury to the epidermis in order to kick start the repair response in the dermis and, hopefully, build collagen. But the bad side of this process is that dermis senses this damage and also starts increasing melanocyte activity to protect you from the sun. This actually makes you more susceptible to sun damage and hyperpigmentation. Additionally, the constant state of microinflammation from acids and exfoliation can lead to accelerated aging with thin, crepey, see through skin. 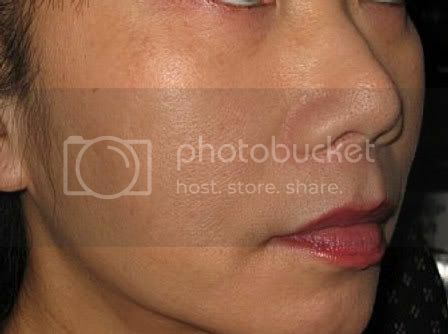 People who are chronic acid users for many years may eventually acquire a mannequin type appearance with a tight, shiny skin which is impermeable. According to 302 and Osmosis, a better skin model would be to prompt the skin's metabolic functions to work the way they did when you were younger. 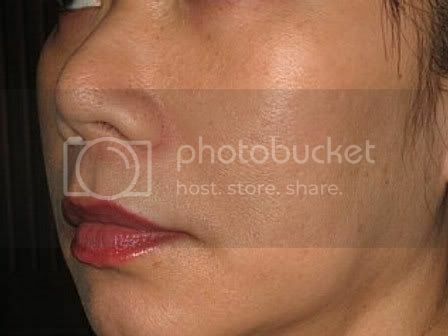 This involves providing good circulation (exercise, massage, ultrasound, cupping for example), nutrients (from food and supplements), and introducing actives which do not harm or irritate the epidermis, but instead can go down into the dermis to promote healthy collagen, elastin, and fibroblast production. BTW, the name "302" is taken from the molecular size of avocatin; it is small enough to penetrate to the dermis (especially with ultrasound or dermarolling). 2. When you overapply topicals (using 1 or more actives day and night on a continous basis), you can overload the receptors in your skin (causing skin fatigue). The skin's receptors will shut down and revolt after awhile. If you ever notice that you get great results from a certain topical in the beginning, but then it just stops working after a few weeks or months, this is probably due to skin fatique. Also, you might notice that if you stop a topical after prolonged use, sometimes an addiction response ensues, resulting in redness, irritation, return of pigment problems, dullness, or dryness. Excessive use of topicals and especially acids can eventually lead up to rosacea. This is why they suggest mixing up the routine and limiting actives to 1 a day. They really emphasize the "less is more" philosophy. If you see a immediate visible response on the skin from any active, they suggest that you should REDUCE its use instead of increasing it to reduce the chance of skin fatigue. 3. External barriers such as moisturizers or sunscreens which sit on top of the skin are bad for the skin. Especially if you are oily, you should never apply moisturizer or liquid sunscreen on a daily basis. Liquid makeup is also bad. It clogs the pores and creates whiteheads, blackheads, and inflammation. For normal daylight exposure, MMU with SPF is adequate. Only apply a physical sunscreen if you are in direct sunlight for a prolonged length of time. It should be washed off as soon as you go inside. If your skin barrier is intact, you shouldn't need to apply any stronger than a SPF 5-15 MMU or sunscreen for normal daylight exposure. Constant application of very high SPFs, especially chemical sunscreen, is not necessary or beneficial to your skin. 1. Rotate between 3 of the 302 cleansers. These are non-foaming or low foaming, so it takes getting used to. But I leave it on my face while I brush my teeth and drape a hot washcloth over my face before rinsing it off. 2. Put MMU with SPF on. I seldom use liquid sunscreen now except when going outside for more than an hour. 1. Cleanse as above, but rotate with a different cleanser. 2. Rotate with 1 of my 302 topicals (302 drops, acne drops, C Boost, A Boost, or serum plus. I have used Osmosis products on an occasional basis too). But it's always just 1 topical, and no more. Some nights, I just use hazelnut oil with EO, sometimes nothing at all. The skin benefits from a break once in awhile. 3. After my topical is applied, I occasionally use LED (DPL or Quasar), dermaroller, ultrasound, or my UP5 microcurrent device. All these gadgets boost the results with 302. That’s it. I've been doing this for 3+ years and have saved a bundle on skin care as I don't use anything for daytime and only 1 topical at night. 1. You need to stop all acids at least a week or 2 before. If you don't, you will be causing more damage than good when you start using the 302 products. Acids and 302 are incompatible and counterproductive when used together. You may experience more irritation. 2. Transition slowly in the beginning. Get your skin back to baseline by simply washing with a mild cleanser for a week. No other topicals, no moisturizers, no liquid sunscreen. 302 has some transitional products to help people who are long time acid users get through this stage. During transition, your skin may look really bad. This is a result of the withdrawal from your current products, not because of 302. 3. Use only 302 and follow the protocol precisely as detailed on their website. Don't try to experiment. It will be tempting for you to use your existing products, but don't do it, so you can fairly judge if 302 is working for you or not. Don't overapply the products! It's not going to speed your results. After a few months, if you have a good result with 302, you may be able to alternate with other compatible skin care lines that are nonacid. You can even stop using 302 for a few weeks and then go back. The results you have gained do not disappear. Your skin jumps to another level of improvement when you restart. 4. Be patient. It may take up to 3 months to see final results. Many see results faster, but if your skin is very stressed or traumatized from long-term acid use, it may take much longer. 5. Look at the general state of your health. Exercise, nutrition, stress reduction all contribute to a healthy skin, like any organ in your body. Look at supplements such as MSM, wheatgrass, vitamin C, fish oil, etc. to provide the nutrients your skin needs. Boski - thank you for sharing your experience with 302 Skincare. Unfortunately I was not able to get up any pictures of you. I agree with you to a large extent. Personally, I use only one active per day, and I like the idea of rotating products. I use vit C serum five days a week and a retinol product twice a week. For the moment I am very happy with my skin. For a while I have been using NCN pumpkin mask (strong AHA/BHA mask) once a week, but after incorporating facial dry brushing I will not use it that often. I like the idea of face brushing as an exfoliation method and natural serums and creams without acids (as long as they deliver results). I will look into this skincare line. Female, 40, Norway. Normal/dry skin, starting to see signs of aging. Staples: Glycolic acid cleanser, SkinCeuticals Phloretin CF, Revaleskin, NIA24. Boski, would you please try to post your photos again, or include a link to them elsewhere. I;d love to see your results, as I have an interest in the 302 line, but your photos don't appear here in the thread. Thanks! Thank you so much for sharing. I wish I could see the pics also.Someone mentioned going thru 'Photobucket'. Or maybe Winnie or Kassy who has also shared pics can let you know how to do it. I have wondered about the 302 Products,but could not find very much info. Your review was very helpful. I am with the gang - would love to see the picture. The line sounds very interesting indeed. Thank you for sharing your experience and knowledge of 302 skin care. It was a fascinating read and very informative. I found out for myself, a very long time ago, that exfoliation made my skin worse and so I stopped. So, along with my own experiences everything that you said makes complete sense. I will visit the website and look into this more closely. Oh, I can't see your pictures either. Thanks for your detailed post. Your skin looks amazing! I was just wondering what their theory is on not wearing moisturizers? I live in the desert and the thought of not using a moisturizer makes me nervous. 31, combination-dehydrated skin (I live in the desert), occasional breakouts. I just want beautiful, glowing skin! Is that too much to ask? There are several points he makes that I find eyebrow raising. Interesting but eye brow raising nontheless. I personally think he may be correct on the over exfoliation and I wanted to get away from all the actives. I'll be curious to see what others experienced with using this. Boski - You are going to be 53 and look like THAT? Wow...you look FABULOUS!!! No longer answering PM's due to numerous weird messages. I just thought I'd add that I've decided to try 302 after some extensive PMing between boski and myself. I have been looking at non-acid lines after using some pretty harsh acids on a regular basis over the last year or two. After some initial gains using acids I found myself with skin that looked dehydrated (even though I am quite the active oil producer) and lifeless. My clogged pores were also a big problem so I initially went with Osmosis which was nice and gentle but I still had oily yet dehydrated skin with lots of clogged pores after a month of use. I remembered boski's references to the 302 line from some earlier posts, did some researching, and after discussing the line with her quite a bit (and seeing her awesome before and after pics) decided to try this line next. I have been off acids for a while already since I've been using Osmosis exclusively for the past month. I received my 302 order on Thursday and am only going to use the two cleansers I ordered (the face and body bar and the oily/combo cleanser) for the next week to give my skin a rest from actives in general. My initial impression of the cleansers is that they are fabulous! I have never had the experience of using only a cleanser with no serum or treatment afterwards yet having my skin feel soft right away and that feeling lasting all day. I am also usually really oily by afternoon but for the past two days my oiliness has been less pronounced. I am going to add in the drops next weekend and see how things go from there. Thank you boski for taking the time to post such a great review of 302. 32 years old, combination skin, working on lots of age-related changes (fine lines, dull skin, hyperpigmentation) since I hit the big 3-0. Loving the 302 line. Boski - judging by these pictures you look to be in your twenties, not fifties. Unbelievably young. The line also seems to be quite impressive. Boski, thank you so much for the great review and sharing your journey and photos with us. You look fabulous! mamawalnut, I hope you have a wonderful experience with '302' also. Fantastic review and I have to agree totally with the 302 philosophy. Although not totally in line with this, the lines that I have mainly used tend to agree with it in that they are always kind to the skin (Valmont, Cellcosmet, Remergent and I should also mention Amino Genesis). Boski - what a great improvement! As I googled 302 Skincare, it was difficult to find websites which actually sell the products. I am sure I could have done a more thorough search, but if somebody could provide a link to a place where they sell the products (and ship internationally ) I would be very grateful. Can someone please tell me how to order 302 skin care products if you are not a professional? I am very interested in starting this line of products. Thank you for any help you can offer! I was out late last night. Wow, I'm overwhelmed by the interest and compliments. Thanks! I hope it helps some of you out there. I used Kodak Gallery to post my pics. I could see them so I assumed you all could too. But in any case, big thanks to Havana for posting them. As far as moisturizers. My skin has balanced out nicely, not oily or dry. So that I really don't need or want them because of the potential of clogging and causing breakouts. But if you really need moisterizer, they have come out with something called recovery plus and calming mist that you can apply until your skin is more hydrated. The goal is to get the skin to the point where it's not needed though. There are several places you can order from online, but most places carry some, but not all, of the products. Spa Sole, 21st Century Skincare, Ellens Place Salon, OCMed, come to mind. There are several smaller salons in CA, who sell online. Not sure who ships overseas though. You can call the company and see if they know. I placed my order at the Face Place www.302skincareproducts.com on Tuesday afternoon and the package was in my mailbox Thursday morning. They did not carry the full 302 line but they had the products I wanted (cleansers, 302 drops, and A Boost). Thank you Boski for replying to the many questions asked. I think so many are interested in 302 skincare because the philosophy, new ideas and approaches to skin care seem to make sense. Also, skin care seems to be getting so complicated, is extremely expensive and costs far too much money. I, for one, have spent a lot of money on what I thought were good products, with good ingredients, which did not work with my skin and did not leave it any better and sometimes worse than before using a particular product. I am interested in 302 skincare because I have very sensitive skin. I cannot exfoliate or use topical acids. Therefore 302 skincare offers something that I feel can work with my skin to heal and improve it which is far better than what a lot of other products have been doing for my skin. Thank you for taking the time to inform us of this new way at looking and treating skin care issues. Wow. This is one of the most interesting reviews I've read in a long while. I was actually starting to think that I might be 'overdoing' it lately - as the more natural approaches I've been taking (drinking more water, eating less salt, getting more sleep, facial exercises) seem to be more effective than all the topicals. And as a longtime retin-a user, I have been wondering if it's been making my skin worse in certain areas. Thanks, boski, for taking the time to write such a helpful and informative review. And congratulations on your amazing results. Your skin looks wonderful! Easy Eye Solutions, Frownies, Tanaka Massage, Retin-A. Thanks to everyone who posted suggestions for places to shop 302 Skincare online. I was happy to see that at least 302skincareproducts.com provides international shipping. I look forward to hearing other members experiences with this line. I devoured just about every page of the link that boski provided, and love the whole idea and logic behind this line. I am also in agreement that having your skin in optimum condition, much reduces the need for topicals. I thought that it was going to be ridiculously expensive, and I'm pleasantly surprised at how reasonable it is at the link you provided above. ETA: Thanks for the link to purchase mamawalnut! Havana, what products did you use from this line? What were your results? From what I read and I may not be getting it, it seems to target problematic skin, ie, acne and rosacea. Boski, I can't believe your age. Your skin, without any lines at all, is like that of a teenager! Thank you for giving us all that great info and introducing us to 302.